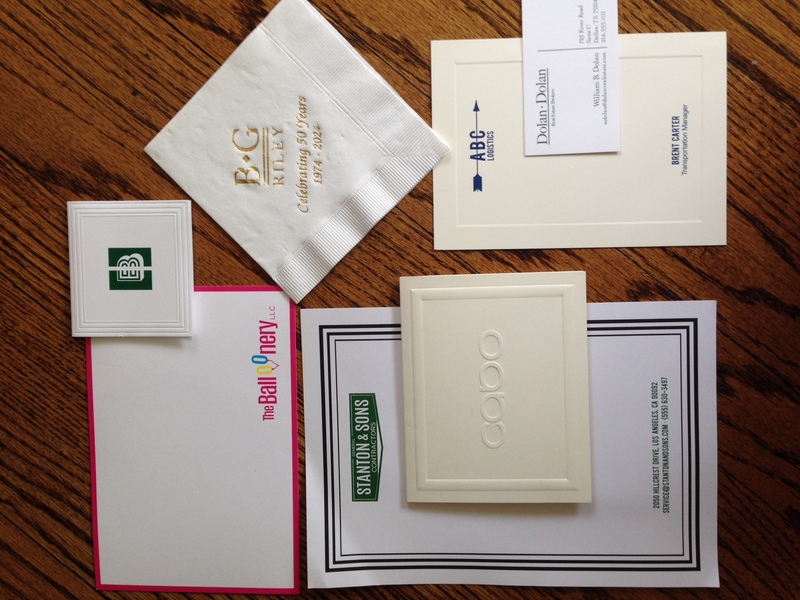 Custom business stationery from Giftins24.com ships in 24 hours. Life as a small business owner is never perfect, but always exciting. There are so many tasks to carry out — administrative, sales, accounting — on top of your core business area. One thing you might not have time for is branding: creating a personality for your business and then carrying that through all your communications, such as your website, brochures and business stationery. Do you wish you had a more polished image? Maybe you have a logo and have put it on your business cards. You may even have some printed brochures or fliers, and a website. How about business stationery? Alas, when it comes to writing those thank you notes to clients, you may be reaching for the generic kind at your big-box store. They give off a flimsy appearance, but truth be told, you’re just happy they get written and mailed, right? And that scratch pad next to your phone does the job, but you sometimes wish you had a more attractive and neat desk area, especially if you meet with customers or clients regularly. Here’s the good news. In less than 15 minutes you can up your game by ordering business stationery crafted just for you. The steps are simple: upload your logo, click a few decision boxes, and then…wait. Within a few days you’ll have professionally printed, branded stationery with your company logo. All at an affordable price, too. Here are four of our best image-polishing products for businesses. 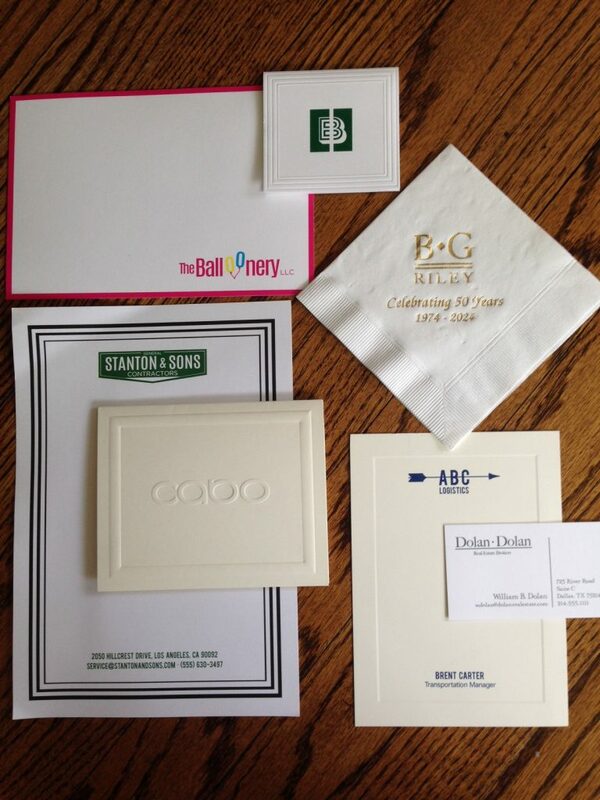 Your Logo Card Convey a professional image every time to write your customer thank you notes. This flat correspondence card is precision-crafted from luxury, triple-thick paper. 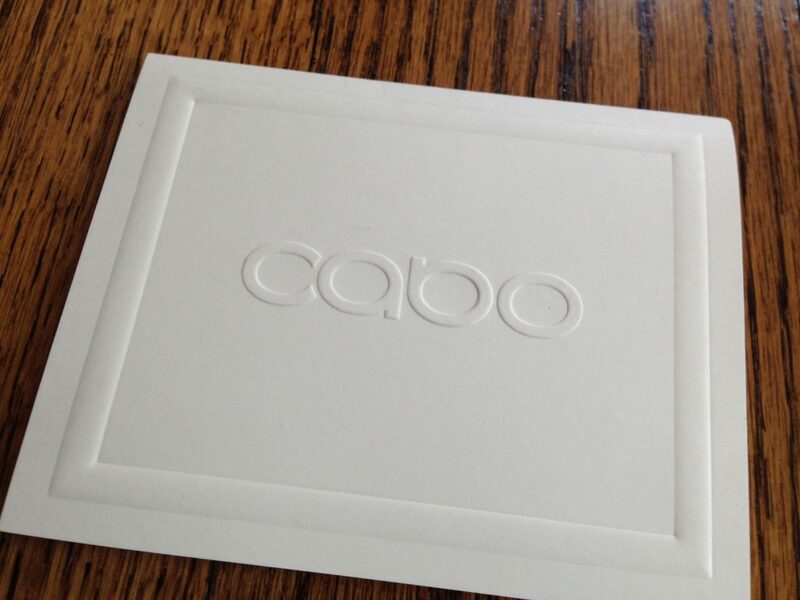 Your logo will appear in traditional embossing, which imparts a classic look and feel. Your Logo Knightsbridge Frame Note This folded note offers an elegant embossed border on double-thick paper. At a price that fits your budget, it also offers an optional colored border, return address or hand-inserted envelope lining paper to create impressive stationery. Custom Image Agenda Offering up to three lines of personalization, plus a logo or other four-color image, this agenda is just the right size for jotting down phone calls or daily to-do lists. Choice of lettering style and ink color for personalization. Acrylic holder neatly corrals loose sheets. Custom Napkin offers many foil ink and paper colors to reflect your company’s colors. 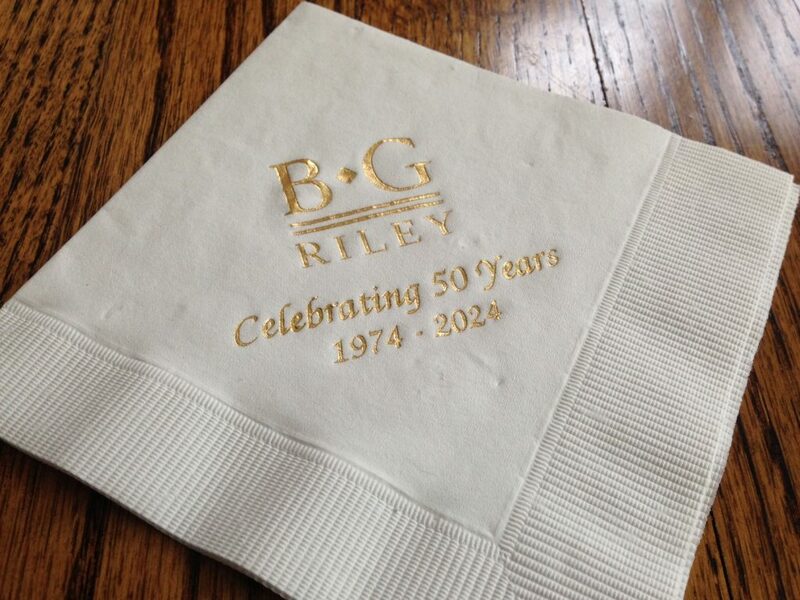 Custom Napkin Company picnics, sales meetings, trade show booths…whenever you’re serving refreshments in a public-facing setting, offer these napkins, too. They are an easy way to polish your image. See the entire collection of business stationery.